For ALL SF Bay Area To South San Jose!!! $35 off your first order!!! Current Location Deliveries!!! Enter Promo Code: amazing647 @ Eazeup.com Today!!! Don't have a Recommendation? 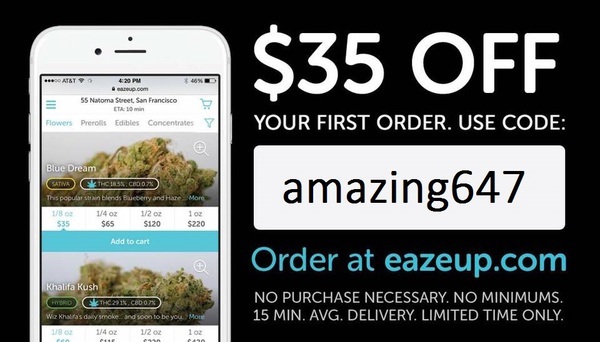 Get it through Eaze.md Today!!! $25 Medical Evaluations!!!! Go to Eaze for coupon terms and conditions.